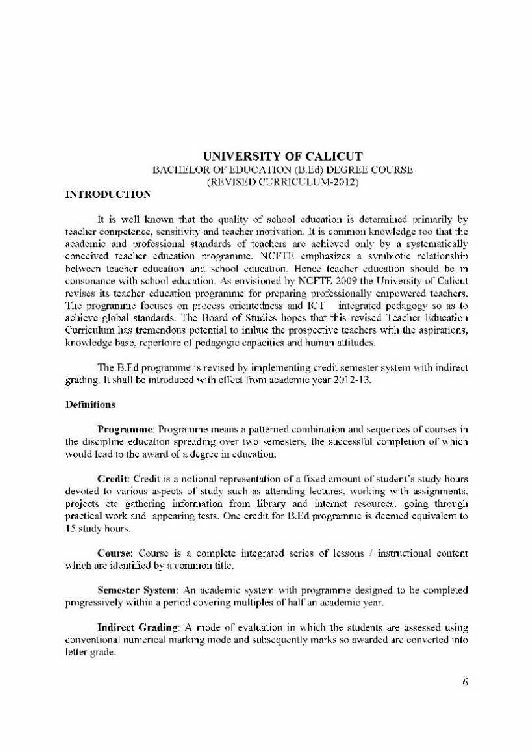 what is syllabus of the B.Ed courses offered by calicut university? whhich institutes in Calicut university provide this course. please send all the necessary details. Please give me the Universityofcalicut Info Index and tell me from where can I download the form of Universityofcalicut Info? Please give me the time table of the Universityofcalicut Info? 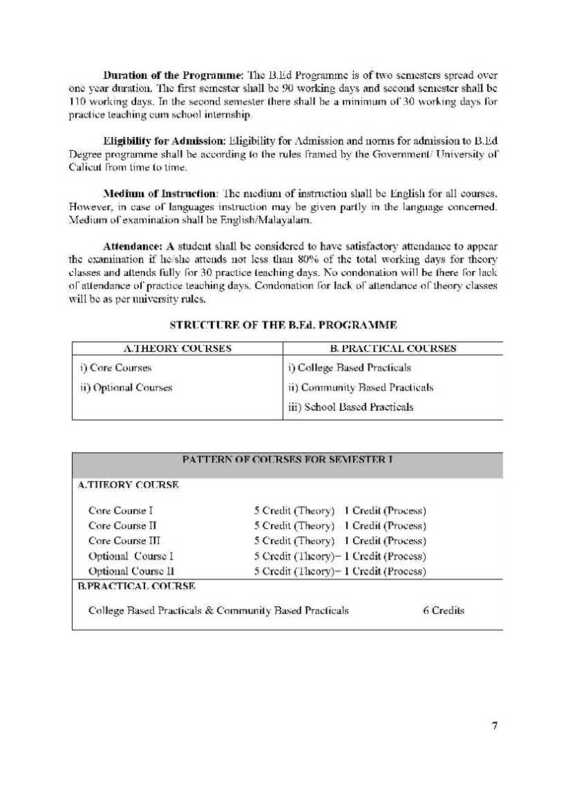 Eligibility: The candidate should be graduate with minimum 50 % from recognized university. I have the time table for B.ed from Calicut University for hearing impaired students. 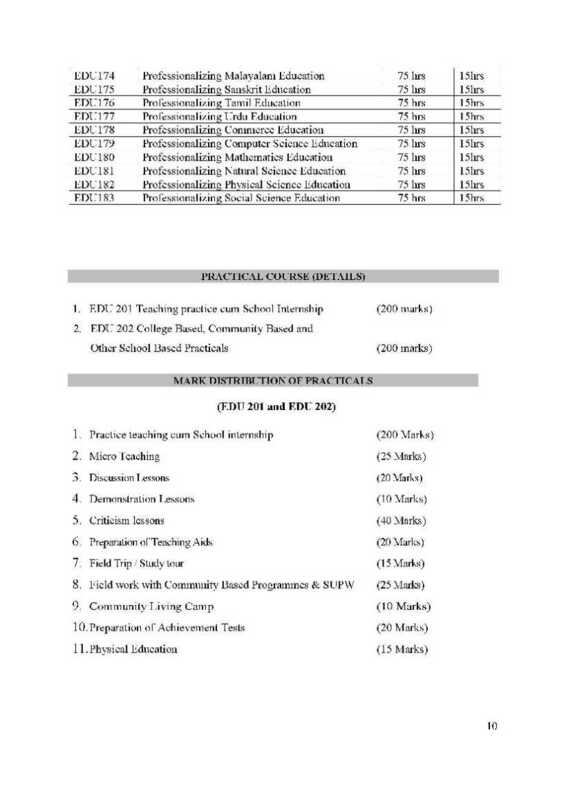 please show me Syllabus of B.Ed courses offered by calicut university. Is there any distance B.Ed courses in Calicut university for the working teachers ? The applicant should have B. A./B. Sc/M.Com Degree of the University of Calicut or a degree recognized as equivalent thereto under 10+ 2+3 pattern, with minimum 50% marks in Part III or Masters Degree in the same subject with minimum 50% marks. 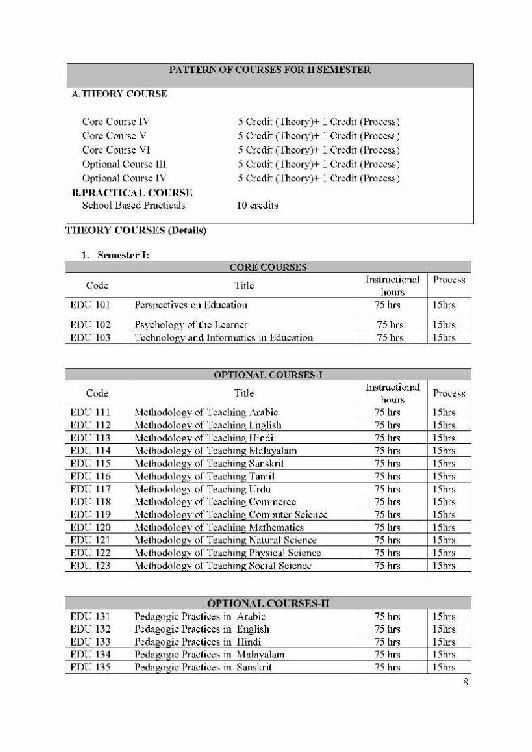 to the minimum required marks. Selection is made based on the marks obtained by the applicant in the Degree Examination for Part -III. Last edited by Aakashd; July 30th, 2018 at 01:16 PM.